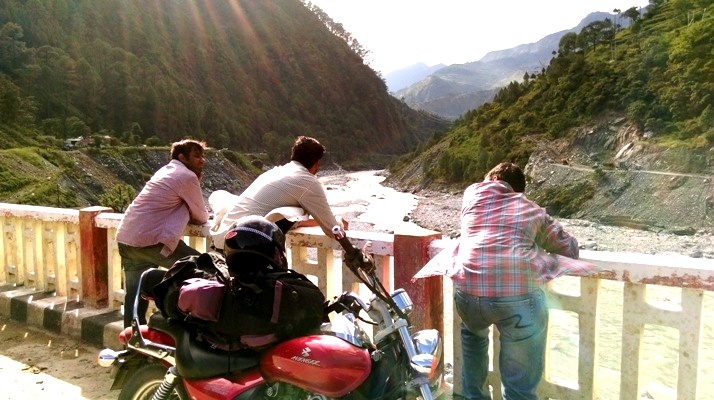 Over 1300 kms of biking, 70 kms of trekking spread over a period of 9 days – this road trip through Uttarakhand had almost everything from risks, accidents, fatigue, the thrill of driving through the mountains, snow-capped peaks, lush green landscapes, gushing rivers, exotic flowers, maggi (yes, the original one! 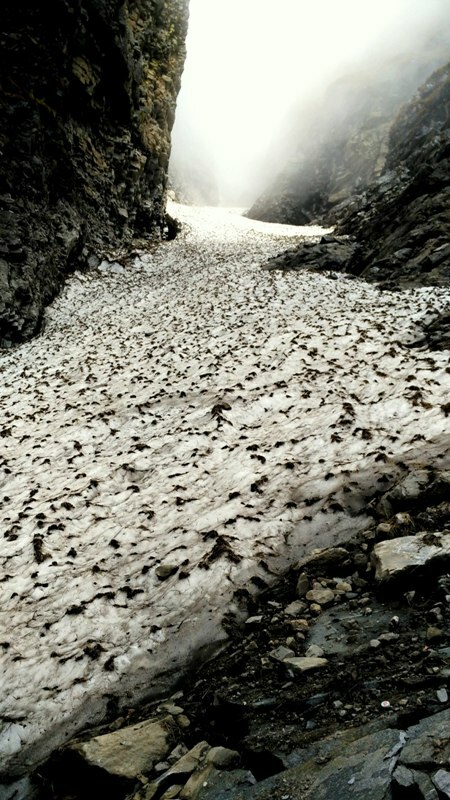 ), glaciers, silent prayers to the feeling of comforting ourselves around the vivid masterpieces created by nature! 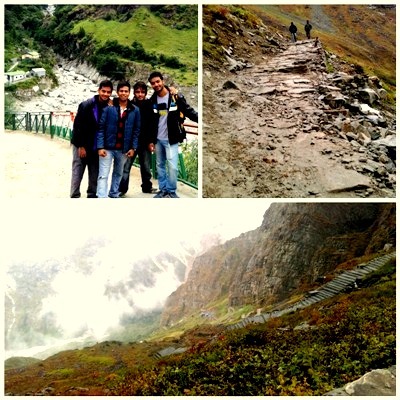 The view we had en-route Hemkund! Now, we are a group of 4 people who have known each other through school and college and share a common passion for travelling. How we thought of this? 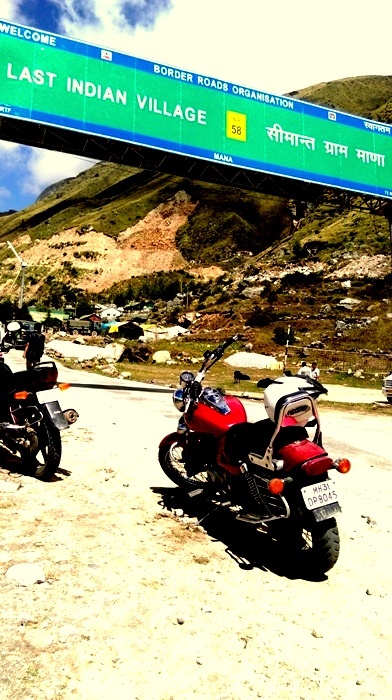 Well, we were coming back from our maiden road trip on a bike to any hill station (Lansdowne) from Delhi and all we could think of – ‘Boss, we have to plan something big next time!’ And thus this grand trip came into existence. 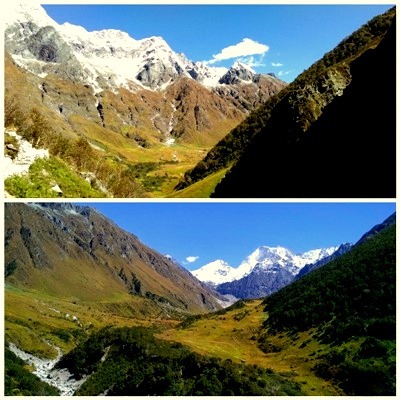 Although at first, doing the Valley of Flowers trek was just a figment of our imagination. But then I don’t know how or when it became serious and the next thing I remember, all of us had applied leaves in our respective offices! After doing some thorough analysis, we picked out mid September to go there. 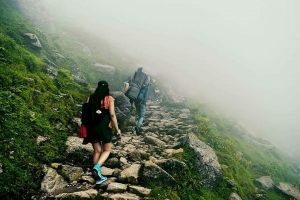 We decided to do the Valley of Flowers as well as the Hemkund Sahab trek along with a ride to Badrinath and Mana village – the last Indian village on the India-China border. We kept a window of 9 days with an extra 2 days in case something happened on this road trip. But then things don’t always go according to the plan – isn’t it? It was 19th September, preparations were complete (Basically we packed our bags on the 18th night) and Holla, we were ready to embark on our exciting journey from Delhi! Stuff we had to go through the first two days of our road trip! Day 1 – To be honest, it started on the worst possible note. It felt as if we had all the bad luck upon us that day, we had a small accident, my bike had petrol leakage, indicators and horn stopped working, the back tire started hobbling in the most unexpected way and to top it all the other bike broke altogether, wires got fused and there was nothing else we could do than to halt at Rishikesh when our target was to reach at least Rudraprayag. And mind you, this happened even though our bikes had been properly serviced a few days back. Day 2 – We got up in good hope but the bad omens continued to haunt us. 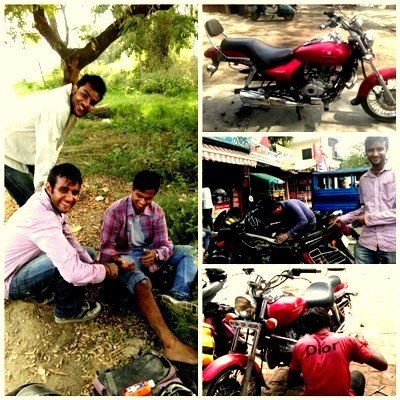 The part which was needed to repair the other bike was not available in either Rishikesh or Haridwar but luckily we called up Dehradun’s service centre and they had it. We had to cover a distance of 100 kms in order to get that single part and then it started raining heavily on the way. At that point, we were really wondering if it’s a sign that we should end our journey and go back. 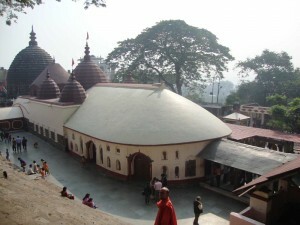 People kept on sympathising – “Jab bulava ata hai tabhi ja sakte hai”. Finally in night the bikes were repaired but we were left stranded in Rishikesh for one more day. Day 3 – We woke up early, saw the majestic sunrise and decided – “We will cover what we intended to do in the first place, we are so not backing off“. With this new found enthusiasm we started driving, it was a lovely sight and the feeling was so different – we just did not stop! 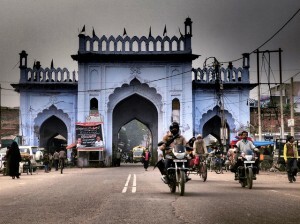 We covered a whopping 270 kms in a single day (totally exhausted) and reached Govindghat – from where we would begin our trekking the next day. The route we had covered to get this view! 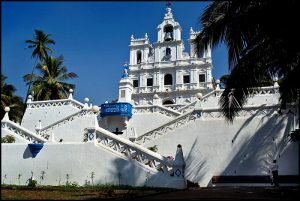 A beautiful stopover en-route Govindghat! Day 4 – Started for the base camp Ghanghariya after keeping our bikes at Govindghat – It was a 14 km trek which we completed in about 5 hours, it was very tiring but the beautiful route and the passionate onlookers kept us going throughout the way. 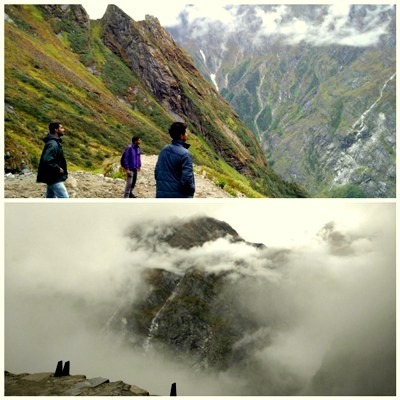 Day 5 – We started for the steep Hemkund Sahab trek situated at a height of about 4600 metres. 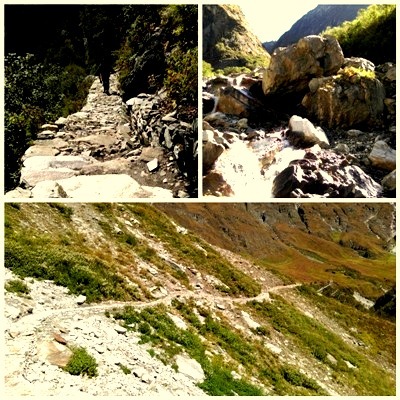 Now, this was one difficult trek with very steep elevations along with the lack of proper paths and oxygen. Our inspiration – Hundreds of old Sikhs trekking up all the way to the Gurudwara when they could have easily hired porters or ponies. It painted such a beautiful picture – braving the winds and low visibility against the beautiful backdrop of Bugyals and snow capped mountains complete with the chants of the people as they continued. 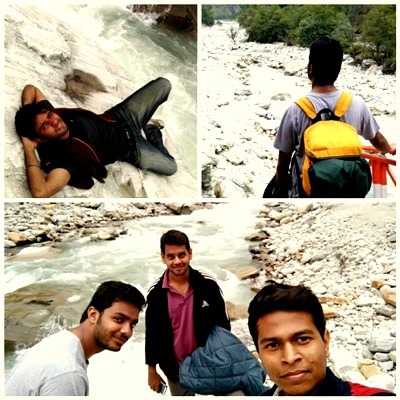 Day 6 – And we were on the most exciting part of the trip – trek to Valley of Flowers. Due to the floods of 2013, the normal route had been destroyed and we had to cross a whole mountain up and down to reach there. Although we did not really see much flowers as they bloom till August end, the view was nothing sort of spectacular. The route which we covered was simply amazing – it was through dense forests and there was no one on the whole way which made it all the more creepier. After that we trekked back to Govindghat where we stayed overnight and this bought us to an end for trekking part. 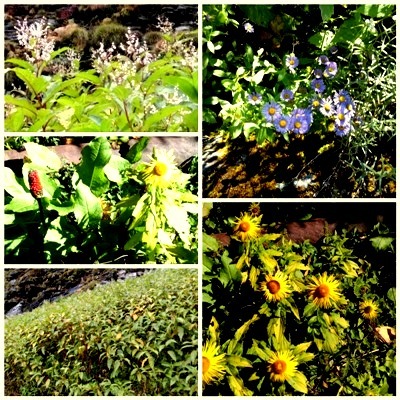 Some of the sightings in Valley of Flowers! And the spectacular view it offered to us! 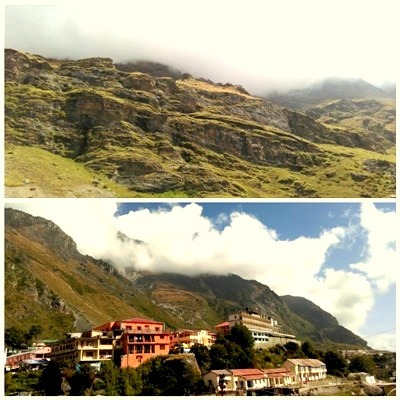 Day 7 – We drove to Badrinath and Mana village on our bikes and as it turned out, it was one of the best decisions. We had to drive our bikes through innumerable streams, the air was chilling and the roads were treacherous. It was an altogether different kind of experience which we definitely enjoyed. 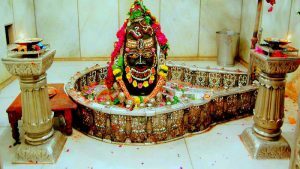 After that we had darshan at Badrinath, enjoyed the Mata Murti festival and covered the Mana village as well and then came back to Govindghat. 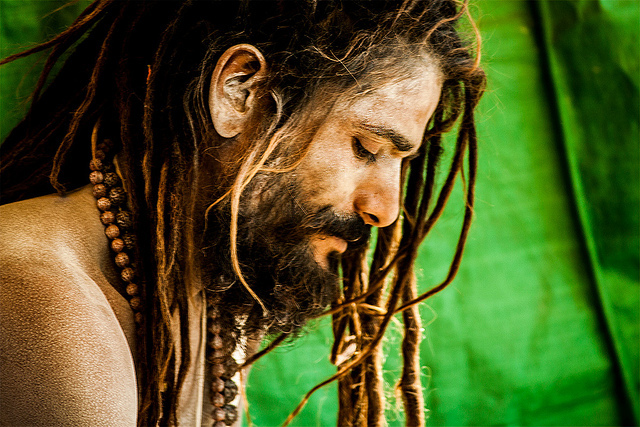 And this brought us to the very end – Last Indian village before the India China border! 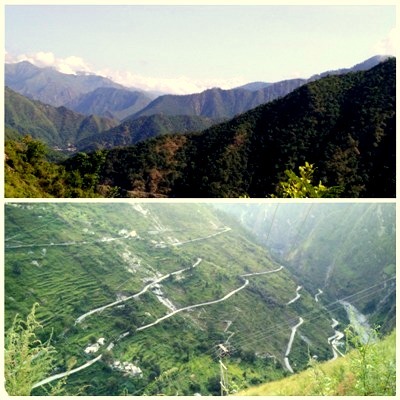 This is the last point till where we can travel in Uttarakhand. Day 8 – Now we were already behind our schedule and for all the biking we had already done, we were well aware to drive in such conditions. We decided to stretch it even further and covered more than 300 kms all the way to Haridwar and halted there for the night. Day 9 – All we could think of now was to get back home. We were exhausted and after a proper rest started the journey back to home. On our way back the other bike’s rear tire’s tube got punctured and had to be replaced. By evening, we were back at our places and were happy and relieved that we had completed every part of the road trip even though we had to initially struggle a lot. For all the things we experienced throughout this road trip, it was surely a life changing journey. 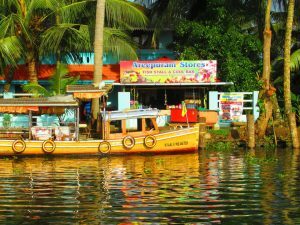 We could have just done the usual, we could have backed out, we could have hired cabs but we did not waiver (I hope this brings out the traveller in you as well!) and kept going. And it makes us even more confident to take up other daunting treks and road trips. Maybe I will do one sooner rather than later – till then happy travelling ! Gooner, thinker, loves to travel and interact with new people, a big foodie and idolises Thierry Henry. A big fan of Coldplay and the early rock and roll. Also, a software developer by profession. ← This Is How I Manage To Travel Often. And So Can You. Nice one prateek seems u enjoyed a lot !!!! 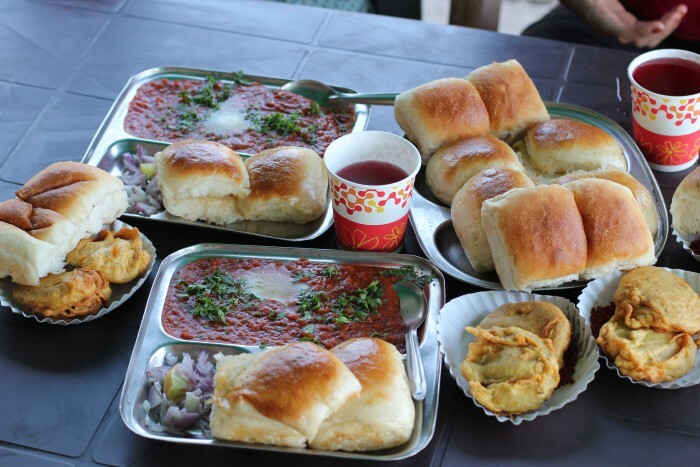 Great post and superb blog.. ? ?